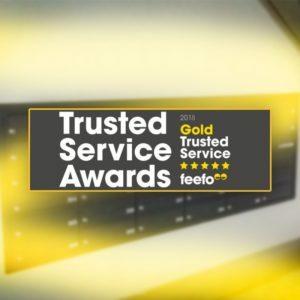 Letterbox4you has won the Feefo Gold Service award, an independent seal of excellence that recognises businesses for delivering exceptional experiences, as rated by real customers. 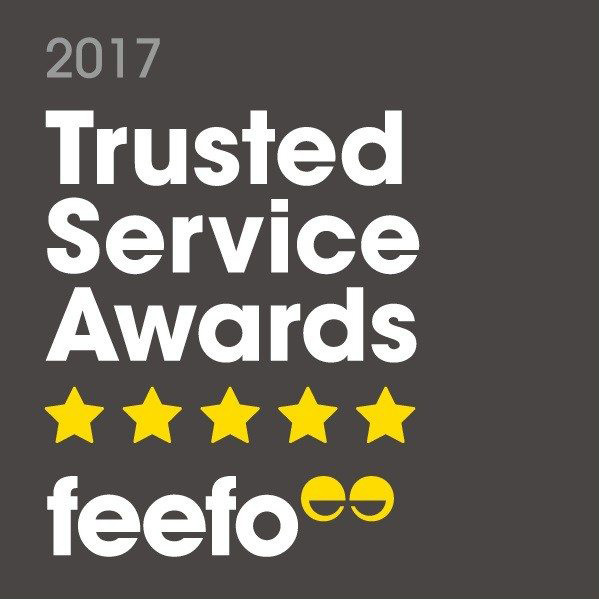 Letterbox4you met the criteria of collecting at least 50 reviews between January 1st 2017 and December 31st 2017, with a Feefo service rating of between 4.5 and 5.0. 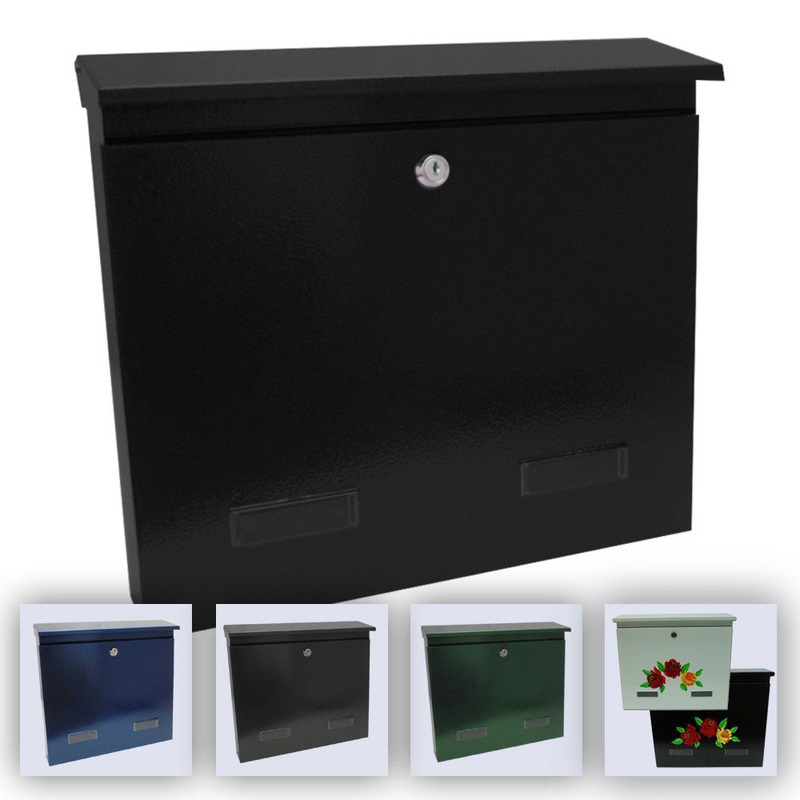 We have been supplying secure letterboxes for over five years. During that time we have expanded our selection of letterboxes. These range from our individual wall letter box to the ever-growing options for multiple occupancy letterboxes. One of the values we pride ourselves on is ensuring we provide customers with the perfect product for their needs. We now stock over fifty different products and have a variety of colour options available. We have recently received a new shipment of letterboxes. These have been specially designed for us with a range of antique colours to fit in beautifully with different homes. The SDG2 is one of these new products. This sturdy, secure letterbox is built for practical use and features a top letter flap so that depositing post is a breeze for your postman. The External Wall Letter Box SDG2 has one of the largest range of colour variations available, we currently stock seven colour variations. These include the standard black and white variations, as well as the unique hand-painted Rose Cottage editions both available in black and white. I am also excited to say that we have three new unique colour variations available for the SDG2 and certain letterboxes. These variations include Antique Blue, Antique Grey and our popular Antique Green secure letterbox. Having seen these colours, I personally believe that offering this larger choice one of the best decisions we’ve made. They are very elegant looking and the antique colours will fit in with many house fronts. Every day hundreds of houses are being planned and built, some are a traditional brickwork front but increasingly developments feature glass and wood. We think it’s key that we can provide a secure post box that fits each customer’s house specification whether it has been built recently or been around for some time, whether traditional or modern in style. We think you’ll be delighted with our extensive range of secure letterboxes models and colours. We also think that you’ll enjoy your experience with us as we pride ourselves on our professional and friendly service. I have only recently started working at letterbox4you but within the short time I have worked there I have fallen in love with the job. Whether it’s helping customers with their enquiries or doing coffee runs to keep everyone happy the job is constantly keeping me entertained. It has gotten to the stage that if there is no postbox in sight then something is very wrong. From the first step through the door you are greeted by a variety of mail boxes which is a lovely sight till you walk into one. Ouch! I’m Daniel by the way I have only just finished college and now I am at letterbox4you enjoying every minute of it. Everyone is very friendly and we always are laughing, normally at Dominic’s cheesy jokes. The atmosphere is really something that can’t be described. From a customer’s point of view I can personally say that I have a lot more respect for people packaging products. Each product that leaves has a unique story from a wall mounted post box to a simple letter plate. They receive the uttermost care ensuring your product gets to you safely and in one piece. Everything is watched over by Dominic’s dog Amber. She ensures we always are working and never napping, shame the rules don’t apply to her. Overall I have to say Letterbox4you is the best place I have worked at so far. Not many people can say they like going to work, even fewer can say that the boss gets cake for the staff. I think having a good job is very important but it is very rare that you have a nice job and nice staff, it is normally one or the other. Many of the staff have to do school runs in the morning so it’s quite nice to have a generous start time. Everyone starts the day with a hot drink of some kind and normally a breakfast bar. Whilst mail boxes are not the most interesting product in the world it definitely is important to ensuring that you have a secure place that you can store your personal mail and post in a lockable post box. Before starting I was only aware of there being one type of letterbox which was just post boxes for sale.Little did I know that there were hundreds of designs from large letterboxes to small letterboxes each with a different design and in a variety of colours? I’m sure by now you have a good idea of what it is like at Letterbox4you on a daily basis and hopefully have a better understanding of what goes into any order that leaves Letterbox4you. It’s been over 4 years since we started supplying our wall mounted communal letterboxes E1 to our clients. Through all these years thousands of tenants used them, some of them less gentle than others. Our E1 letterboxes served as communal letterboxes for flats in high end developments, council estates, commercial offices and even army barracks. I recently tried to analyse why these letterboxes proved so popular, in many cases winning in direct contest with multiple letterboxes put forward by our competitors. And it occurred to me that I don’t remember the case of any of our E1 letterboxes coming back to us with problems you hear about every day. No faulty flaps, no faulty doors, no failing locks! The number one reason being extremely reliable letterboxes! I also almost immediately remembered one of our regular clients- a large housing association from London. They started buying our letterboxes to replace current mailboxes. They said it’s because of the design of our letter slots, which makes our product much safer and reducing the amount of mail theft in their properties, awesome! Finally, I turned around and look at our warehouse. Nicely stacked straight rows of multiple post boxes in black, white, light grey and dark grey colours. Ready for next day delivery! Of course! How many letterboxes suppliers in the UK can dispatch 100 letterboxes with next day delivery? Almost all of them advertise 3-4 weeks lead time. You can order some of ours at 11.00am and receive them 9.30 am next day, brilliant! We have the quality of our products at heart so we would like to think that most of our clients are the ones who are looking for quality, safety and durability of their office letterboxes. We believe this is the primary factor when it comes to choosing mail sorting solutions for their head quarters and branches. We were looking for a reliable and creative company within the office & workplace design industry whom we can partner with to deliver an even higher standard of service. We found Metre Squared Interiors which is a well known and respected brand in the United Kingdom and we've never looked back. Whatever we threw at these guys they were always coming with answers and solutions when it came to arranging and designing workplaces like lobbies, mail rooms and any other communal areas containing multiple commercial post boxes from Letterbox4you. Thanks so much for taking the time out of your busy life to read about our latest achievements and plans. I’d like to update you about some improvements to existing products and to tell you about some new ideas that we are working on. Truthfully, I’ve been inspired by reading Elon Musk’s Biography and I’m very excited because although we may not be Tesla or SpaceX, we have the same ethos at heart! I really believe that running a successful business and becoming one of the best UK suppliers of letterboxes requires a huge amount of invention and creation, rather than just following trends and doing what everyone else is doing. As you probably know, we work only with one manufacturer at the moment, and although we have been approached by several suppliers from other countries we’ve decided that we will stick to letterboxes manufactured in Europe. Our focus will be mainly on improving existing product lines, strengthening our brand and creating products designed especially for our UK customers. 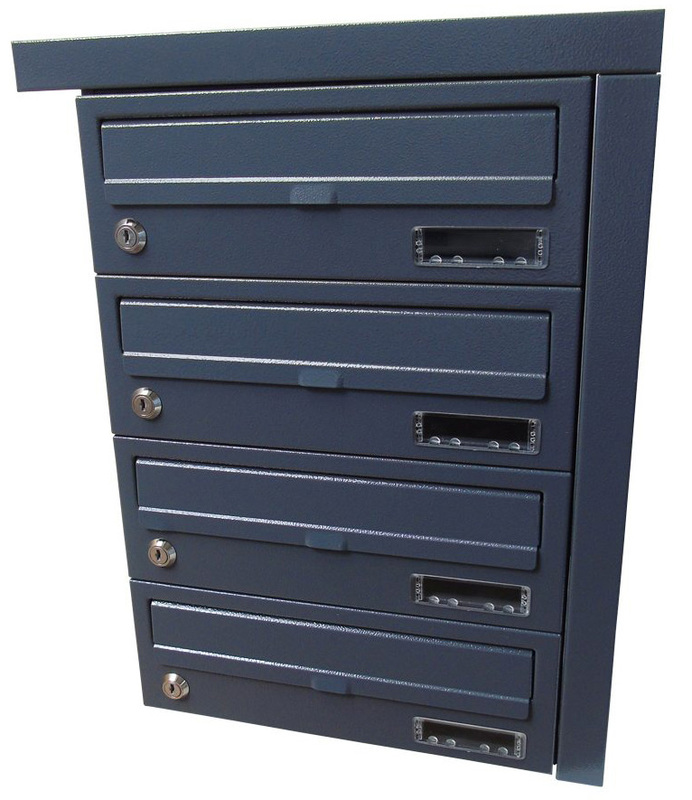 100 Key Cabinet – designed with and for estate agents, property management companies, and any organisations storing and managing multiple sets of keys. Rear Retrieval Communal Telescopic Letterboxes- single modules of regulated depth which can be built into larger sets, allowing them to be used in various applications. Wall Mounted Communal Letterboxes with Combination Lock- designed for student accommodation but suitable for any multi-occupancy residential or commercial building. We’re innovating all the time so watch this space! We will be in touch when these projects are nearing completion and we can show you more details. Landlords need to make sure they provide their tenants with adequate and secure letterbox facilities for a number of important reasons. Developers, too, must ensure they work with buyers of flats to ensure residents have the right facilities for receiving their post. With most people out all day at work, it's important for there to be somewhere safe and secure for their mail. Tenants will be straight on the phone if things start to go missing. They may even look elsewhere if they are worried about security. Usually the best option is to source multi-occupancy letterboxes that feature a secure lock and key system. These will make sure tenants' post does not go missing or is simply left at the bottom of the stairwell. They are also easy to install and come with a number of benefits for landlords/developers. Sizes vary and buyers can even order made-to-measure letterboxes for the spot they decide to place them. Developers can select mailboxes that fit narrow corridors or letterboxes that are large enough to accept small packages. Anything that helps keep tenants happy and their post secure will be welcome and reduce time-consuming conflicts and complaints. Failing to provide a secure letterbox could be classed as negligent and ultimately cost landlords or developers even more in the long run. "Multi-occupancy addresses, such as flats and halls of residences, are often targeted by criminals as mail in these places is often left insecurely," says the Association of Residential Letting Agents. "Make sure your letterbox or place where your mail is left for you is secure and cannot be accessed by anyone else." 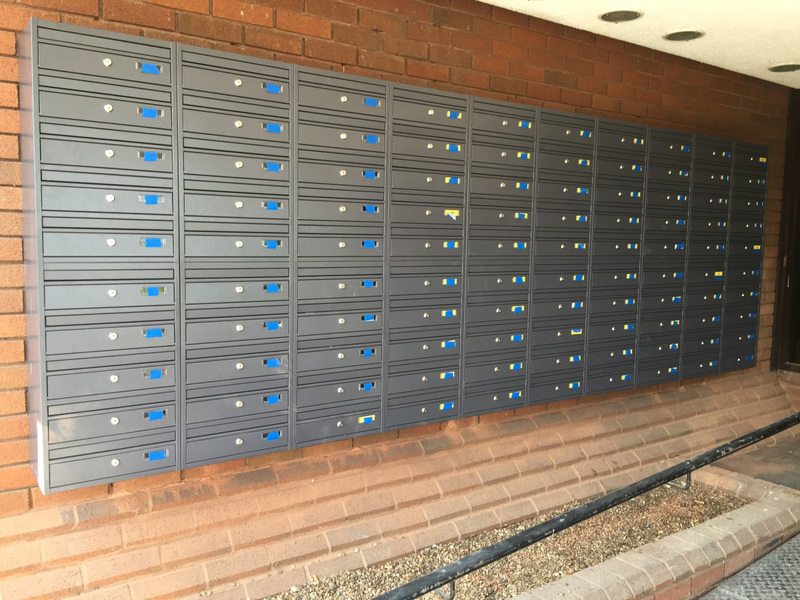 Ultimately, secure multi-occupancy letterboxes are a sensible investment and wise precaution against potential criminal activity. You can read more about the letterboxes in our blog "As Seen Through The Letterbox"
February 2017, Letterbox4you has won a Feefo Gold Service award, an independent seal of excellence that recognises businesses for delivering exceptional experiences, rated by real customers. Letterbox4you met the criteria of collecting at least 50 reviews between January 1st 2016 and December 31st 2016, and achieved a Feefo service rating of between 4.5 and 5.0. Wall mounted letter box? External or through the wall ? Few helpful pointers from Letterbox4you. Wall mounted letter box? Post box for gates? Or maybe through the wall solution? If you still not sure about your letterbox choice, please visit the blog "As Seen Through The Letterbox". 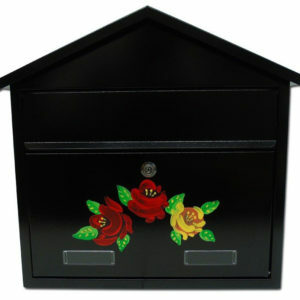 You will find few helpful pointers and information about different types of letterboxes available. As a matter of good business practice, every business owner visits their competitors’ websites to see what new products are on offer and how they are being presented to clients. I have noticed, while browsing through these websites and visiting eBay and Amazon, that there are hundreds of suppliers and thousands of different external post boxes available for purchase. That gave me the idea to share a few tips about choosing the right letterbox. This is not an article that will help you decide if you need for example a wall-mounted letter box or one that goes through the wall. I will concentrate purely on the features, quality and security of your future post box. I will also ignore the price factor, as how much you would like to spend on your letterbox would be your own personal choice. The first question I would ask is where the particular post box was manufactured. Was it made in Europe or on another continent? Is it a particular brand, or just a mass-produced product with no name? There are several quality control measures for letterboxes and their manufacturers, which should contribute to the quality and security of your product. 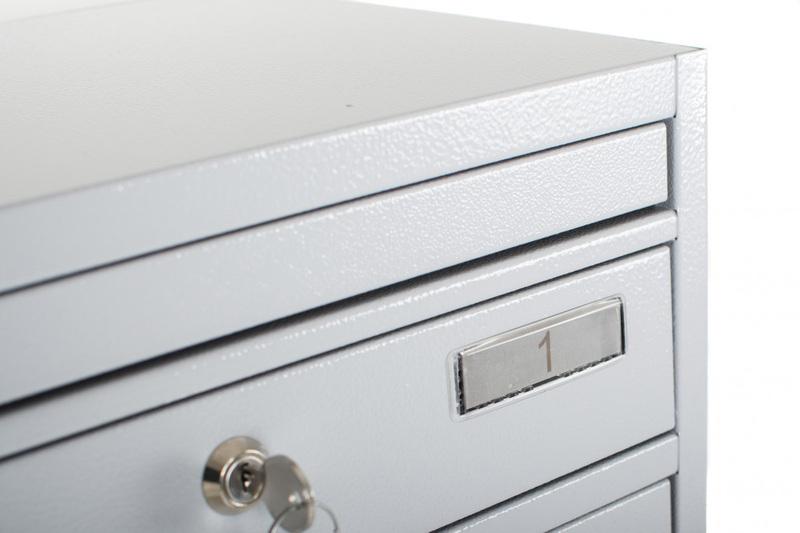 For example, the ISO9001 management quality certificate and EU regulations for post boxes ensure your letterbox is manufactured in the right environment and to certain standards. We are living in a country of constant rain and wind, plus very often close to the sea as we are an island. Therefore, there is a high chance of a high salt content in the air, and that could affect your letterbox. A galvanised steel and powder-coated letterbox is a must. Ask your supplier if the steel under the paint layer is galvanised or not. What is the point of buying a wall mounted letter box which will rust in a year’s time? Run a simple comparison between the letterboxes you are considering, and check the weight of each of them. Chances are that if they all look similar and have similar dimensions, the lightest ones may be made of tin steel and will not last. On the other hand, the heaviest one will probably have the thickest "skin" and may give you a few more years. We all get more and more letters and advertising these days, and you don't want them to fill your letterbox quickly. You also don’t want your important documents in A4 format to arrive squashed or be sticking out of your letter slot. Check the dimensions of the letterbox and the letter slot itself. Take an A4 piece of paper and piece of cardboard, cut the cardboard to the dimensions of the letterbox (width and length) and compare them both. It will give you an idea of the capacity and ability to hold larger letters. Cut the opening in your cardboard according to the dimensions of the letter slot on the letterbox you are considering. Check if your A4 page fits easily or if you need to fold it to put it through. Use the same opening in the cardboard to test how difficult is to reach through and potentially grab your letters from inside. There is no point of having a wall mounted letter box with a big letter slot only to find that someone can help themselves to your bank statements. Enquire about the make of the lock used – again, is it a "no name" product or a lock manufactured in Europe according to certain standards of security for the industry? You can always ask your local locksmith about the brand if you are not sure. Looking for suitable post boxes for sale is a long process. You may think it is only a letterbox, but you are buying a product that should really last a good few years and keep even the most important letters secure. Any supplier of good-quality letterboxes will either display all of the above information or will have no problems with answering your questions. Happy shopping! Due to demand Letterbox4you are pleased to announce that E2 recess mounted letterboxes will be available in stock in dark grey. Being in stock means they are available for immediate dispatch, ensuring a quick delivery if your timescales have changed. The matching trim, crucial for completing a flush finish when installing recess mounted letterboxes, is also available in dark grey, in the dimensions to suit your order. Both products can be ordered online via the Letterbox4you website. 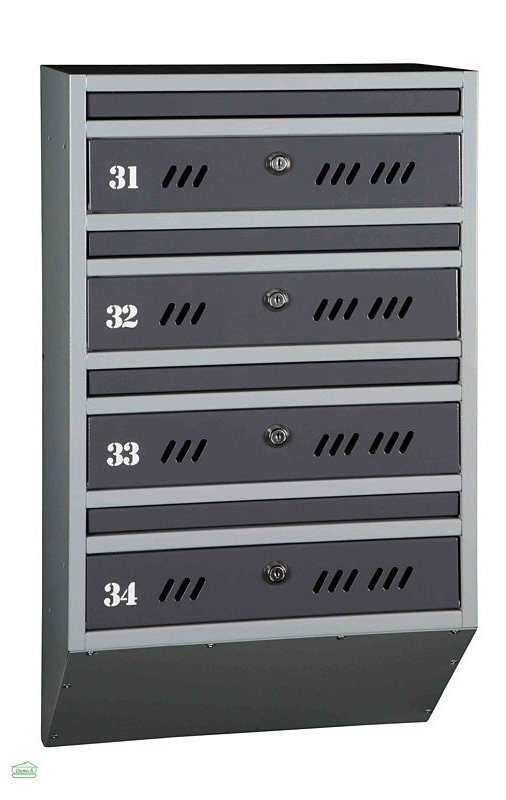 Simply select E2 recess mounted letterboxes, in dark grey, and the banks you require. To order the recess trim simply select Fitting trim for E2, and enter the required quantity and size to fit your letterbox requirements. Alternative colours including stainless steel, light grey, dark brown, white, and black are still available on a pre-order basis. Letterbox4you have introduced stylish aluminium number plates for use with communal letterboxes. These contemporary plates are engraved with the apartment or flat number, and fit into the card holders that are found on multiple letterboxes. They are the ideal finishing touch to building refurbishments or new builds. In order to provide a bespoke service for clients, the popular wall mounted multiple letterboxes, E1S, are traditionally available to order, to meet specific requirements. Due to demand we are pleased to announce that Letterbox4you are now stocking a limited number of the dark grey E1S option in stock, in banks of 3, 4, 5, and 6; ready for immediate dispatch. As with any items that are in stock, orders placed before 12noon are dispatched the same day, with express / Saturday delivery options available if required. So if you've been let down by a supplier, realised multiple letterboxes are missing from your specification, or that work is proceeding more quickly than anticipated, get in touch. Letterbox4you are pleased to bring to market a new through the wall letterbox with high volume capacity. 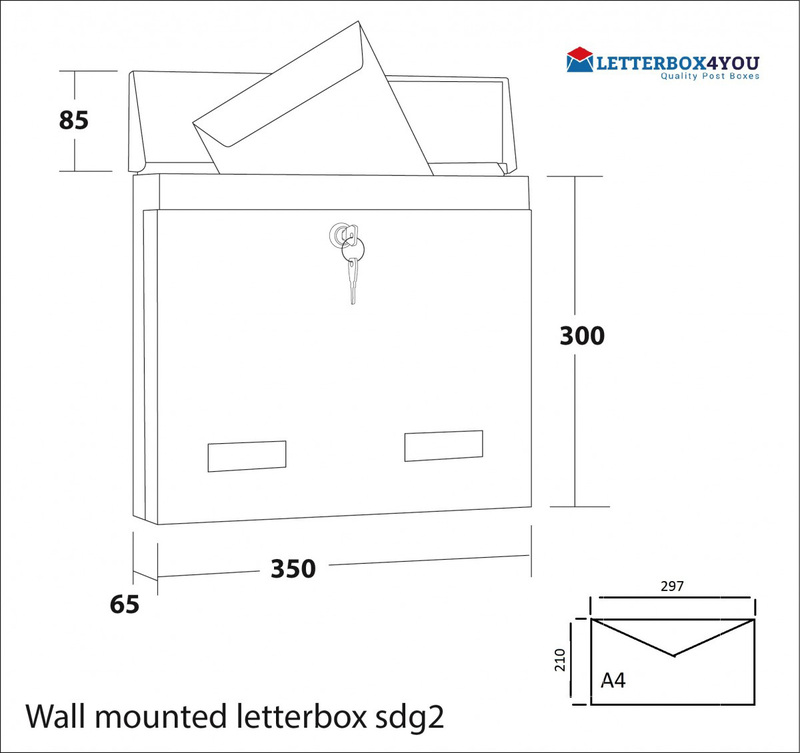 Following demand for a through the wall product that could contain high mail capacity, with added security features, Letterbox4you worked with the manufacturer to bring to market a specific new letterbox to fit this criteria. 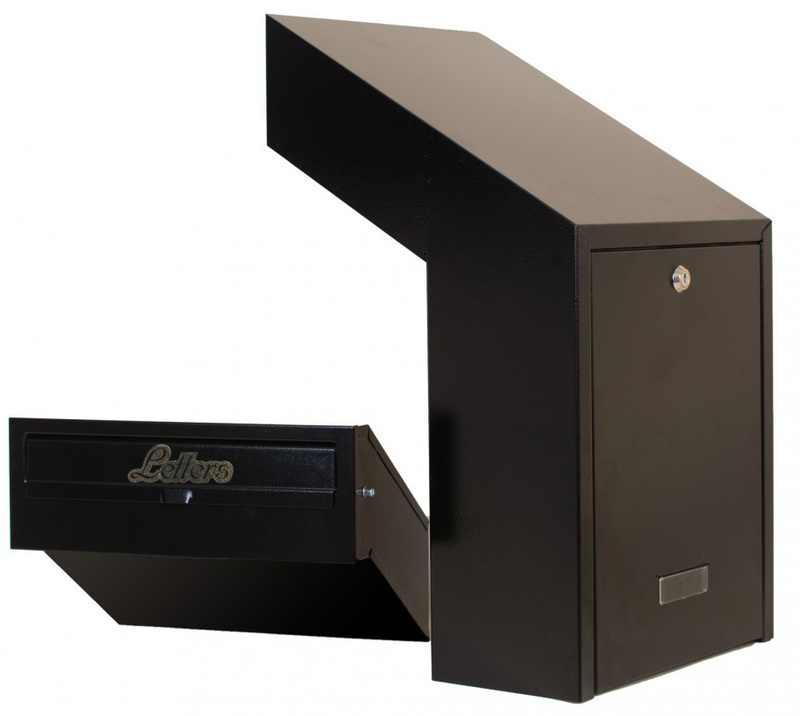 The telescopic design of this high capacity letterbox ensures it fits through any wall depth from 204mm to 358mm. The flap accommodates mail and bulky envelopes up to A4 in size. The large storage unit ensures that post is kept secure, even for those who receive high volumes of mail. The key security feature is the angle from the flap to the storage compartment, and the length of the letterbox chute, ensuring post cannot be retrieved the way it is put in. Retrieving the mail is achieved easily via a secure lock mechanism. The back of the letterbox unlocks with the key provided, opening down to enable you to access your mail. 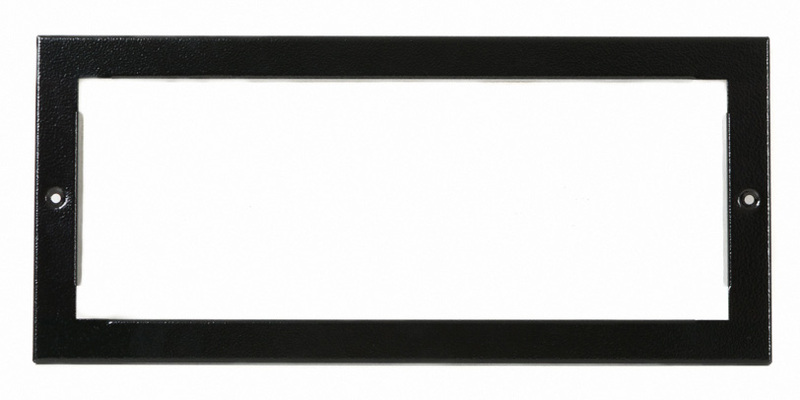 This high capacity through the wall letterbox is available in black, white, and copper. For further details, and the technical specification, visit: Rolle through the wall high capacity letterbox. This product, new to Letterbox4you, is for GP doctors surgeries and hospitals. The galvanised steel deposit box offers durability and a long lifespan. 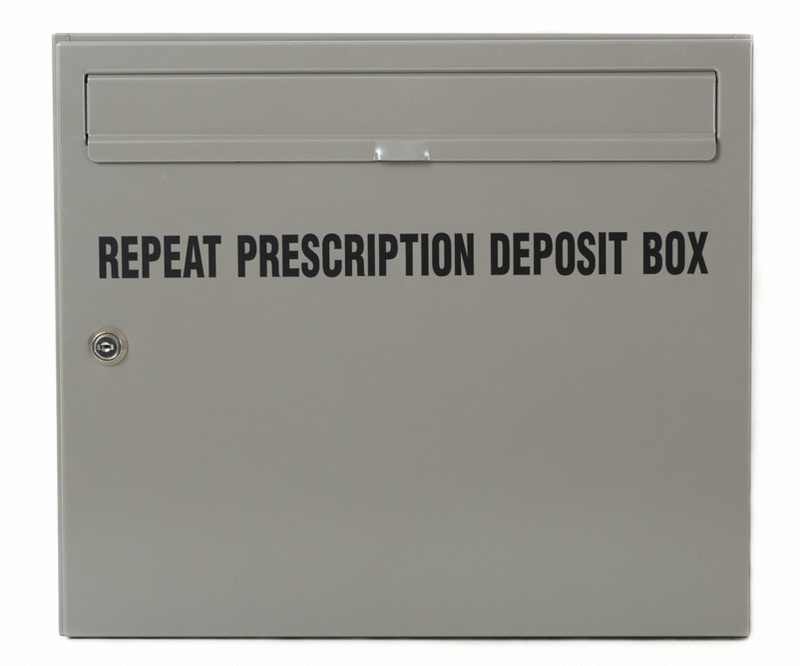 The repeat prescription deposit box features added security with a row of metal plates positioned inside the deposit slot, which prevents access once the repeat prescription request has been delivered into the box. This provides security and peace of mind for those depositing requests. Retrieval of repeat prescription requests is achieved with the key which opens the lock on the front of the box. A metal rail inside the box prevents the requests from falling out once the front is opened, ensuring easy access to collect the contents. For further details visit: repeat prescription deposit box. Looking for the finishing touch to ensure your rear access letterbox looks smart in your gate or fence? Letterbox4you are pleased to now offer a trim for rear access letterboxes that are being mounted through a gate or fence. The trim, in the same colour and material as the letterbox, gives a solid frame which complements the letterbox, and ensures the gate or fence looks smooth without any loose edges, where it has been cut to accommodate the rear access post box. The inside of the trim can be used as a template to create your cutting guide. For full details on the product, and to see which rear access letterboxes the trim fits, visit: rear access letterbox trim. Great news! The Letterbox 4 You website is now live!! We would love to hear your feedback. Please send us a message here or leave a comment on Facebook.